Sign up for the 2019 Summer Session now! At Camp Palawopec, we work together as a team, campers and staff striving for the most fun and excitement the summer can possibly offer. We are a small, personable, down-to-earth camp dedicated to helping your child have a wonderfully fun summer. Choosing a camp for your child is a serious responsibility. 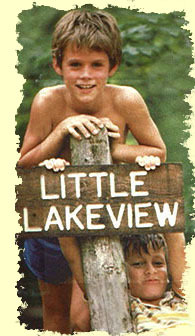 A child will spend more hours in a few weeks stay at camp than in nine months of school. Camp Palawopec is a small, intimate, private camp for boys and girls, conveniently located in the rugged hills of Brown County, Indiana — just minutes from the sleepy village of Nashville and Indiana’s famous Brown County State Park. We offer sessions for boys and girls, ages 8-15, along with special adventure trips for older campers. The program is outdoor-oriented, with activities geared to stimulate an appreciation of our natural environment — but with the emphasis being on good old-fashioned summer fun in a non-competitive relaxed setting. Camp Palawopec offers a challenging program for boys and girls based on outdoor living. Discovery, physical fitness, self-reliance, practical skills, and knowledge of our great outdoors are the byproducts of a camping experience — and it’s for these reasons we exist, for the sake of the young! 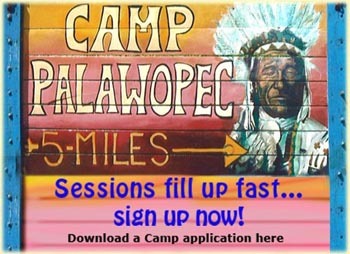 Let's get married at Camp Palawopec — Click here!